BeamMonitor HQ - Laser Beam Diagnostics - Laser Mechanisms, Inc. This reference system for raw beam diagnostics of CO2 lasers has been used successfully for a number of years. In fact the PRIMES BeamMonitor-HighQuality (BM-HQ) replaces the typical plexiglass burns used to identify the beam profile or beam symmetry. The BM-HQ is the perfect device for analyzing your laser beam. 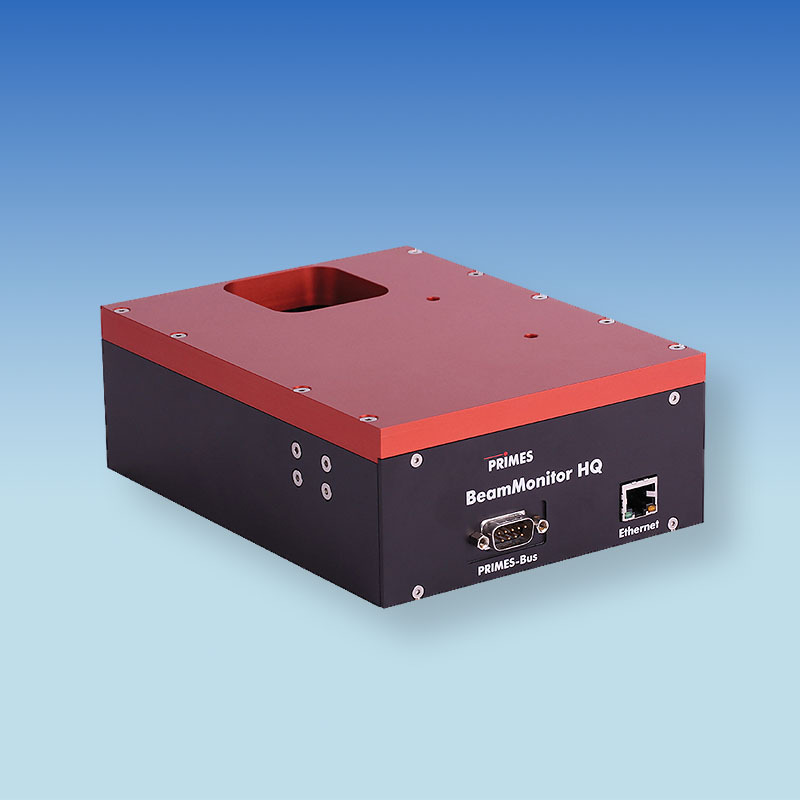 The mechanical scanning system measures the power density of collimated laser beams at full power. Due to its compact design and light weight, the BM-HQ is ideal for integration into material processing systems and for use in servicing. The incoming signal is digitized and transmitted to the evaluation unit. The 14-bit A/D converter and resolution of up to 256 x 128 pixels employed enable an exact analysis even of small disturbances in the raw beam. The device was designed for use in harsh industrial manufacturing conditions and is adaptable in every spatial orientation. Various application-specific solutions are available for operating the BM-HQ. There is a graphical operating interface in Microsoft Windows®. The data transfer between the measuring devices is based on the RS485 protocol; hence cable lengths of over 50 m are possible. For programming via PC, the signal is converted to RS232 via an interface converter. An Ethernet connection is available for the BM-HQ.